In just over four years, the Tatas' Hyderabad-based aerospace venture has made a global mark. A little over six years ago, on October 8, 2008, the then chief minister of undivided Andhra Pradesh, Y.S. Rajasekhara Reddy, received a mail from the then chairman of the Tata Group , Ratan Tata. Andhra Pradesh had been lobbying hard for the Nano small-car project once Tata Motors decided to pull out of West Bengal, but the letter regretfully informed that the company had chosen to relocate in Gujarat. However, appreciating the state government's invitation, the letter added: "The Tata Group has decided to locate its newly formed defence and aerospace activity in Hyderabad, which will be the centre-point of one of the largest new hi-tech activities the Tata Group is entering." Ratan Tata was as good as his word. Tata Advanced Systems Ltd (TASL), with its manufacturing unit in Adibatla, on the outskirts of Hyderabad, began functioning in March 2010 with Tata Group veteran S. Ramadorai as Chairman. With an investment of over Rs 500 crore so far and much more promised, TASL, apart from bagging a number of prestigious contracts, has also separately set up joint ventures with global aerospace majors Sikorsky Aircraft Corporation and Lockheed Martin. "Every S-92 helicopter leaving the Sikorsky production line in the US has a cabin which was made right here," says Sukaran Singh, Director, TASL in an email to Business Today. "The first cabin was readied in November 2011 and since then we have delivered more than 80 to them. Our current production rate is around four to five every month." The JV with Lockheed Martin makes centre wing boxes and empennage for the latter's C-130J Super Hercules military transport aircraft. TASL is also actively exploring the domestic market. "This venture gives us an opportunity to work with Indian defence laboratories and the armed forces as they build capacity in aeronautics - both aero-structures and systems," says Ramadorai. Among the contracts already bagged is one to make missile components for the Defence Research and Development Laboratory. "We have been participating in various Indian programmes related to missiles, radars, aerospace engineering, unmanned aerial vehicles, opto-electronics and security," adds Singh. "We will indigenously assemble and integrate complete systems leveraging capabilities already operational." The aerospace sector is a particularly demanding one for private companies, since it is a high technology area into which they were allowed in only a few years ago. Besides the Tatas, the Mahindra Group, Larsen & Toubro and Bharat Forge are among the other private players in the sector that is dominated by state-run Hindustan Aeronautics. "Aerospace material and products need to meet high precision standards," says Debashish Ghose, Professor and Chairman, Department of Aerospace Engineering, Indian Institute of Science, Bangalore. "Private companies must have the infrastructure and the expertise to meet these standards. The Tatas, with their large manufacturing and research base, are perhaps best suited for the task." This explains too why even the Tatas have taken the JV approach. "Many US and European original equipment manufacturers have more than 75 years of learning behind them," says Ramadorai. It is nonetheless a lucrative market India ought not ignore. "China, South Korea and many other large and small countries are already making forays into this area and India too should get its share," says Ghose. Ghose feels that any lapses on the part of the private players in meeting global standards can not only affect the companies' reputation but also hurt the entire industry in India. TASL, aware of the pitfall, is taking pains over proper training. "We have invested in the training of technicians," says Ramadorai. "We have set up our own advanced craftsmanship centre to act as a bridge between educational institutes and industry. Even Industrial Training Institute graduates have to go through six months of both practical training and theory before they become on-the-job trainees and only thereafter, full-fledged associates. Similarly, engineering talent is inducted fresh from colleges and then groomed through a series of projects in different functions for a year." The choice of Hyderabad as headquarters for TASL also intrigues Ghose. "Bangalore may have been a better place since almost all the major aerospace players, both government and private, are located there," he says. 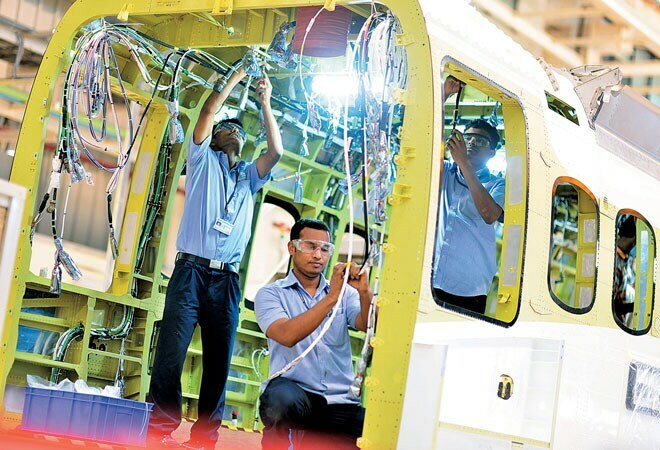 "Experts in the different segments of aerospace are also more easily available in Bangalore." But he also sees the flip side. "It is a good idea to create an alternative aerospace hub in Hyderabad," he adds. "The Defence Research and Development Organisation has several major research units in Hyderabad and TASL will benefit from the proximity." "We want world-class engineering and world-class manufacturing with world-class technicians behind them"
The state government of what is now Telangana is naturally delighted and hopes more private players will follow suit. "We are in constant dialogue with industry and are talking to several players," says K. Pradeep Chandra, Special Chief Secretary, Industries and Commerce, Telangana. "Many of them already have significant investments here in other sectors and we would like them to invest in aerospace as well." An old, unused airport in Hyderabad and facilities at the one in Warangal could be made available to the industry for its tests. 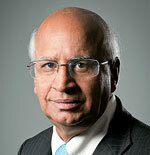 "There is also a plan to come out with an exclusive aerospace policy for the state," Chandra adds. Quality and scale will remain TASL's watchwords in coming years. "We don't want a single rejection or a single delay while executing our orders," says Ramadorai. "We want world-class engineering and world-class manufacturing with world-class technicians behind them." As for scale, there are many ambitious plans. For instance, in the case of the Dornier 228 project with global aircraft major RUAG, Ramadorai says the aim is to ultimately become a hub for maintenance, repair and overhaul for all aspects of the Dornier aircraft out of India. "We hope to see this happen in the next five to 10 years," says Ramadorai.